Given the opportunity, such individuals will be able to achieve their full potential and assume leadership positions to contribute towards the nation’s economic development. - Good SPM & STPM (or equivalent) grades. - A record of active participation in extra curricular activities is added advantage. - Have obtained admission into the University for full-time degree courses. Successful applications will have to enter into an agreement to serve the Company for a stipulated period immediately upon completion of their studies. If you match our requirement and have a vision to excel, please write to Ms. Irene Loong request for application form through email at flloong@ytl.com.my, or fax no. : 03-2070 7688. 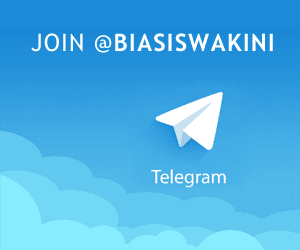 Submitting of application can be through email or fax and must reach us by 30 July 2016. Only shortlisted applicant will be notified. 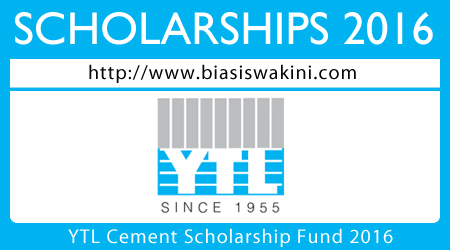 0 Komentar untuk "YTL Cement Scholarship Fund 2016"